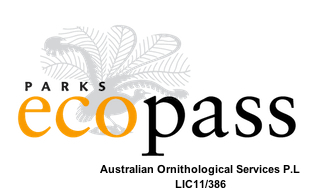 Australian Ornithological Services Pty Ltd specialises in locating the harder to find and rarer species for overseas birders on tight schedules. While the plains-wanderer is undoubtedly the star attraction, there are many sought after birds in the area. Clients are taken out in small groups or individually for a period of one to nine days. Travelling time, from Deniliquin, our home base, is normally from one to four hours. Species in the bird list marked with a # are closer to four hours' drive and it is usually preferable to use overnight accommodation in those areas. The mallee species fall into this category. Our services are flexible and an itinerary composed around a birders hit list can be organised, as can tours outside of the range outlined in the sample itineraries. Traditionaly, October to early January is prime time for birding in SE Australia. You can expect to see 200+ species on a seven day tour in that timeframe. While temperatures can soar to 40 degrees Celsius+ (104F+) in December and the early part of January, searing days are more common in the latter part of January and in February. Deniliquin, in southern New South Wales, is approximately a three hour drive north of Melbourne Airport and about four hours from the city. A bus service leaves the city, departing Southern Cross Station (formerly Spencer Street Station) most evenings and twice on a Friday. You also have the option of being collected in Melbourne, either from the city or airport if our schedule permits. Please note that being collected in Melbourne is an expensive option unless you are doing a tour of five days or more, in which case it may be better to start and finish the tour in Melbourne. The Crossing Cafe is on the opposite bank of the river. After arriving in Deniliquin, please call or text Philip on 0427030007 or Patricia on 0417310200 to confirm your arrival. The Latest News page will give you an idea of what is being seen in the district. Let us know how we can help make the most of your birding time in Australia.